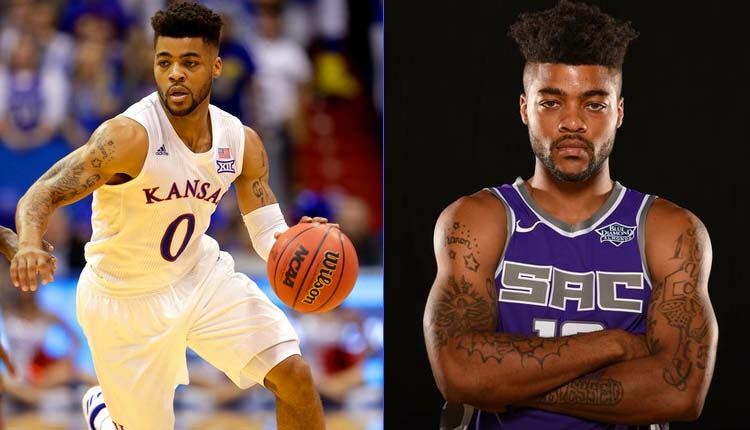 During his senior season as a member of the University of Kansas Jayhawks, Frank Mason III become the first player in Big 12 history to average 20 points and 5 assists a game during the regular season. So, it shouldn’t be any surprise that he filled his trophy case with player of the year awards that season, including the AP Player of the Year, Sporting News Player of the Year, USA Today Player of the Year, Oscar Robertson Award, Naismith Award, and NABC Player of the Year Award. Mason and the Jayhawks made it to the Elite Eight in 2017, but were defeated by the University of Oregon, stifling yet another attempt to make it back to the Final Four. Later that year, he was taken in the second round of the NBA Draft by the Sacramento Kings.